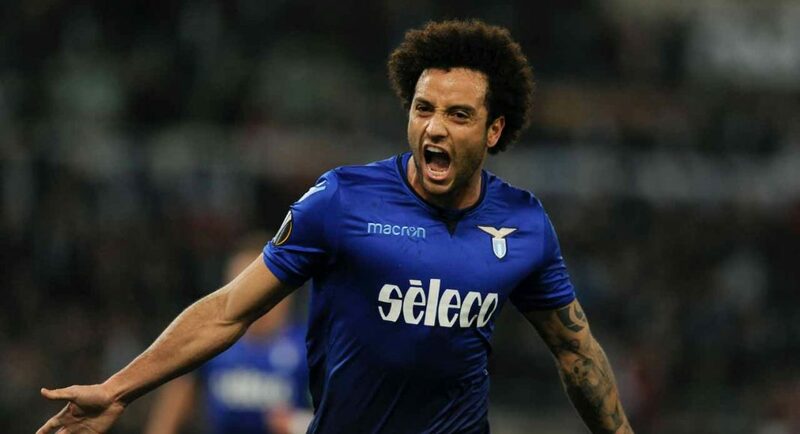 Chelsea interested in signing Lazio attacker Felipe Anderson. West Ham United still some way off Lazio’s €48M valuation. Chelsea are reportedly set to rival West Ham United for the signature of Lazio attacker Felipe Anderson. The Brazilian was once pursued by a host of Europe’s biggest clubs. His demonic speed and mazy dribbling made him a nightmare for defenders to handle. That’s not to say that he doesn’t still have the potential to reach the top. At 25-years-old, it’s very much a case of now or never for Felipe Anderson. He appears desperate to push for a move away from Lazio, and there is no shortage of Premier League interest in signing him. According to Gazzetta dello Sport, West Ham are the frontrunners to sign him, but are still some way away from Lazio’s €48M asking price. Chelsea have now been mentioned as a team that could show interest, especially if Maurizio Sarri takes charge at Stamford Bridge. It seems unlikely that we’d be willing to spend such an inflated figure on a player unproven at the top level, regardless of the raw talent he possesses.